My brain is a series of blog posts…each of them neatly written and ready for submission at the end of every life-altering event. In my mind, all I need is five uninterrupted minutes on the laptop to “wow” my audience (also known as MY MOTHER) with the profound wisdom (and random musings) occurring inside my head. Blogging is easy…but unfortunately, life is not. As a wife and a mama, let’s be real…uninterrupted time simply doesn’t exist. And, on those rare moments that it does occur, I’m too tired to pull out the laptop and document it. Those award-winning blog posts are neglected in favor a DVR episode of “Grey’s Anatomy” or a solo trip to Target. My mental health may be restored by those quick escapes, but the words of the unwritten blog still play in my head…waiting to be released. For example, I want to tell you about my journey back to the classroom and how God is merging my two professions – agriculture and teaching – into a passionate agvocate for kids, farms, and food. I want you to see the food insecurity of my community and get to know the child who “secretly” passes her school lunch sandwich to another student in the foster care system each day because he fears being forced from his latest home with nothing to eat. I want to tell you about the ag ed program we have started at the school and the food pantry that the students organized. I want you to hear the walls between blacks and whites – “haves” and “have nots” – slowly crumbling as the people of my Southern farming community uses charter school education to bring a much needed unity to our area. I also want to tell you about our farm and all the exciting things that are happening here. We have signed on with a distributor who understands the value of local food and is partnering with us to tell our family’s story. I want to talk with you about beef jerky and the possibilities that exist in the ready-to-eat market. I want to shout the results of our recent audits for both humane handling and food safety…introduce you to my wonderful staff and the great work they are doing to ensure the quality of our products. 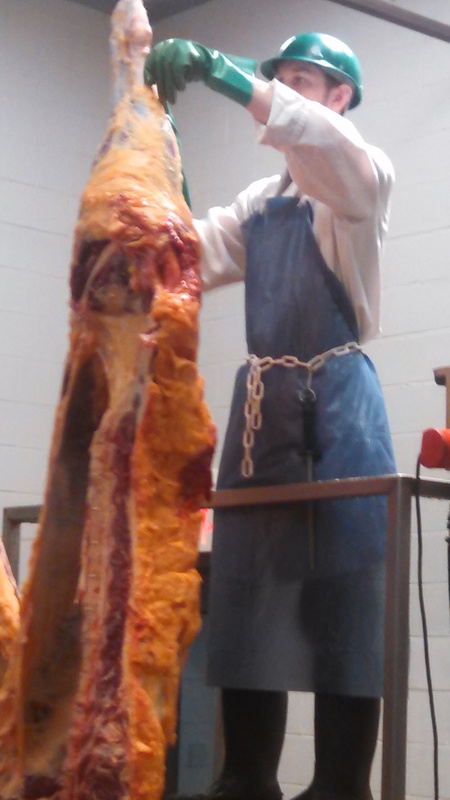 Beef production and meat processing are amazing! I even want to tell you about the private pains…struggling to give my baby girl independence while also not wanting her to grow up…watching my son cry over the loss of his chickens and his hunting dog within the past month…balancing my desire to lead with God’s commandment to submit within my marriage. I want you to know how important my faith is and how real my God is…and the daily struggle to be the woman that He has called me to be. Unfortunately, I seem to be so busy living life lately that I haven’t had much time to actually write about it. It’s become increasingly aware to me that my platform for communication may be more verbal than written in this life season. Instead of writing about my feelings and life events, I believe that God is calling me to speak out about them instead. However, while I patiently wait for someone to ask me to share these random insights and ramblings, I will continue writing the blog posts in my head…and living a life that is worth writing about! My kids have grown up on the farm and have seen the good, bad, and very ugly side of this industry. Despite this turbulent lifestyle, my 16-year-old daughter dreams of a future as an ag teacher, and my 11-year-old-son …well, he just wants to be like his daddy. Caden, my littlest farmer, has embraced his father’s entrepreneurial spirit and is constantly brainstorming ways to improve and expand our family farm. Most recently this involved forming “Robinette Poultry Farm”. While we have ventured into backyard chickens in the past, it was Caden who saw the demand for pasture-raised eggs and began researching this business. He scoured the internet for the best breeds, evaluated them for our climate, and selected his top choices for purchase. Without any input from his father or I, Caden emailed the supplier – and then followed up with a phone call when that email was not immediately returned. Caden budgeted his earnings from the sale of his most recent show pig and calculated exactly how many chickens he could safely afford, and, with this money, he became the proud owner of 13 heritage breed chickens. While I will admit I was very skeptical of this business endeavor, Caden proved me wrong at every opportunity. He never had to be reminded to care for these chickens…they were his first stop every morning when rising and his last visit before retiring to the house each evening. To say that Caden loved these chickens is an understatement! The power of his love was demonstrated once again at Christmas when Caden chose not to ask for a new electronic or trendy toy from Santa…all Caden wanted was a new chicken coop! His dad and I discussed with the elves how best to deliver such a huge gift, and we formulated a plan that Santa would bring the supplies on the sleigh and Caden and his dad would later build the coop after the holidays. For two weeks, my guys pounded and sawed…drilled and measured…until finally the perfect home was built for The Robinette Poultry Farm chicks. And, then Mother Nature hit. Winter Storm Jonas hit Eastern NC this weekend and blanketed our area with sleet and ice. Despite his best efforts, somehow a predator found their way into the coop and Caden woke up yesterday to find he had lost 7 chickens…over half his flock! Devastated doesn’t even begin to explain the emotions our family experienced in that moment…our heart was broken and our son’s dreams were shattered. While Patrick and I have experienced our own farming setbacks, none of these compared to knowing that our child’s hard work and financial investments were now destroyed…and there was nothing we could do to fix it. However, the true character of my little farmer was revealed less than 24 hours later. Once all the tears had been shed and the coop repaired, Caden approached his dad and I with his plan for rebuilding the flock. Caden recognized improvements that need to be made and shared with us how he plans to finance the replacement birds. The conversation was full of sorrow for the past but also very hopeful for the future. As a mama, my heart breaks for the loss of these animals and knowing that I can’t fix this for my baby. However, through all the sadness and heartache, I was able to see a glimpse of the man that Caden is becoming, and, I must say, I like it. Farming is a tough life, and it takes tough men and women to endure the challenges that come with it. Each new day is an opportunity for successes…and failures…and how we handle those says more about our farm than any production method or commodity group. While Caden may not be the best or the biggest poultry farmer, I was reminded yesterday that he’s a good egg…and that’s worth clucking about! 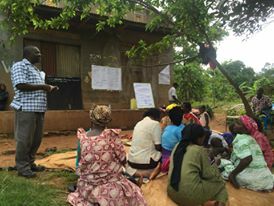 It has been a month since I returned from my Farmer-to-Farmer assignment in Kiboga, Uganda. Those early days back in America were spent recuperating from my travel and re-establishing my schedule at home and at the office…it left little time to process all that I had experienced. However, now that things have settled down, I find myself thinking about my journey and all the wonderful people that I encountered while in Uganda. I may have been sent there to teach farm business skills to the Kiboga District Farmers’ Association, but this experience taught me so much more in return. The first steps in any journey are often the most difficult. 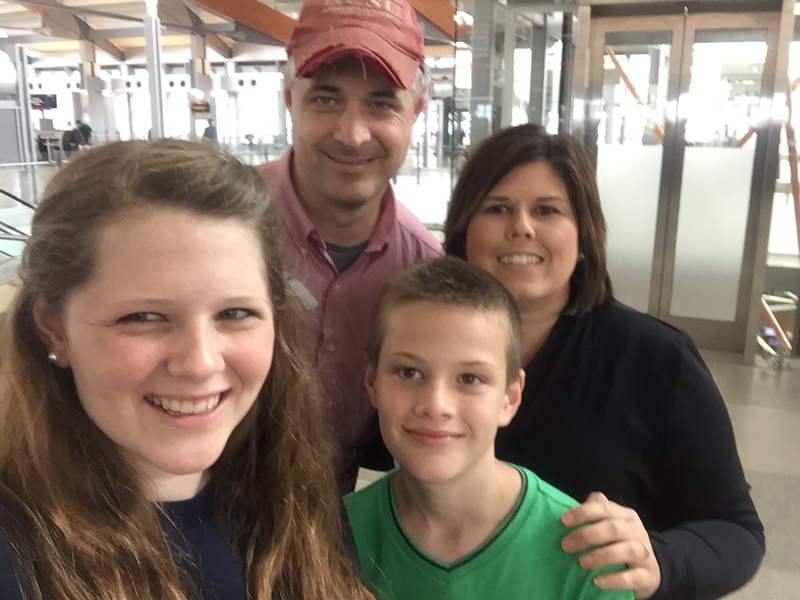 For this middle-aged mama, walking away from my husband and children at the airport was one of the hardest things I have ever done. I was aware of all the risks of being a female traveling alone to such a remote location…the “what if’s” consumed my every thought. God uses ordinary people for super-ordinary purposes. As only God could arrange, a childhood friend that I had not spoken to in years was on my first flight from Raleigh to Atlanta. She waited for me as we exited the plane and escorted me to the international terminal. Sensing my fears, this precious friend grabbed my hands and prayed the most beautiful prayer with me before saying our good-byes. Everything inside of me was screaming to turn around and come back home, but God sent an ordinary person to bring me peace and remind me that He was still in control. The airport was a little overwhelming to this NC mama! Unfortunately, human error occurs in every business and in every part of the world. 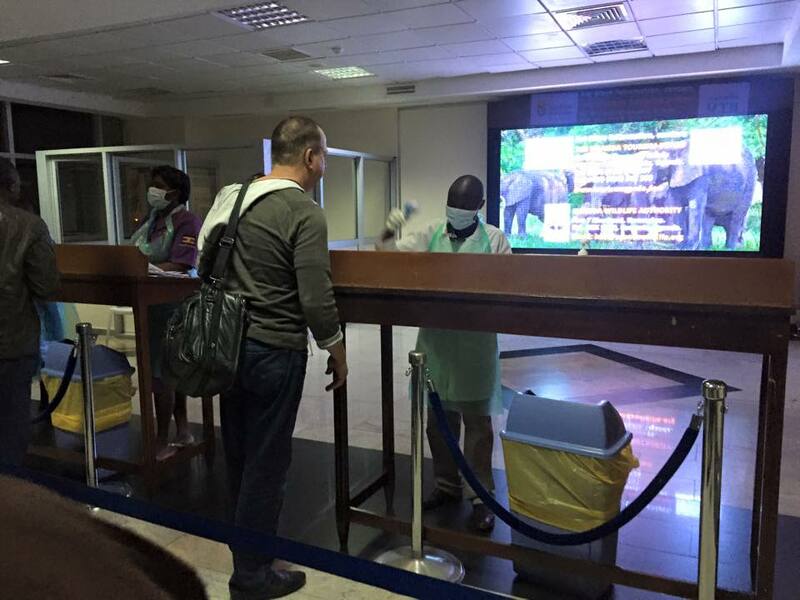 Despite thorough planning and detailed information from my hosts, I was left stranded at the airport with no hotel shuttle, no working cell phone, no money, no translator, and several very disgruntled armed police officers. As the tears rolled down my face, there was nothing I could do but pray and trust that the same God who sent an angel to me in Atlanta was with me in Uganda…and He was! Motherhood is a universal language. Motherhood is a universal language! Of all the people that I encountered in Uganda, it was the mothers who captured my heart my most. Whether it was Maria, my host from Catholic Relief Services, advising me on what foods to avoid and how to properly tuck in my mosquito net to prevent bug bites, or my new friend Agnes who brought her children to work with her during their break from school, I saw a little of myself in every mother I encountered. 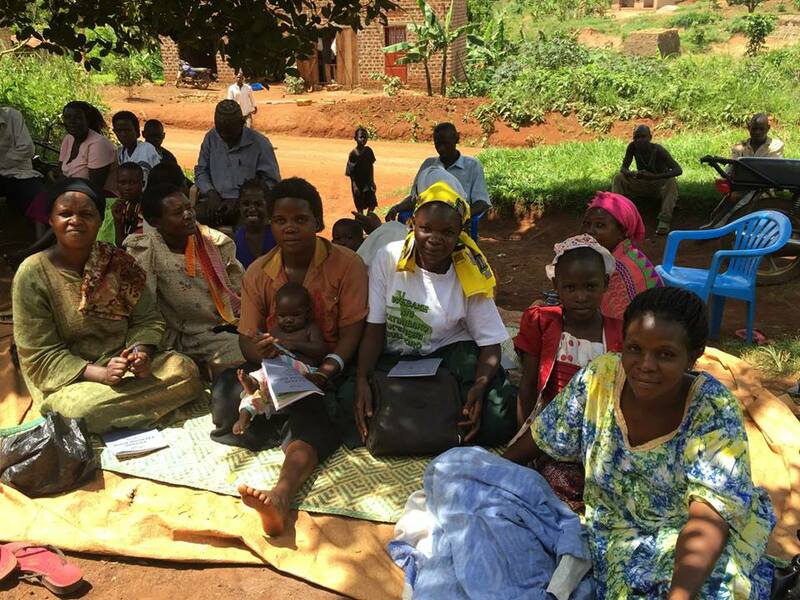 These African women have very little money or resources, but all of them desire so much more for their children. It was a blessing to give these children much needed shoes and clothing, but the need is so much greater my suitcase could contain. Thanks to many generous friends, I traveled to Uganda with suitcases full of shoes, clothing, pencils, jump ropes, and other gifts. However, for every one pair of shoes that I distributed, there were ten more barefoot children waiting in line…there was simply not enough. Many days I came back from those school and orphanage visits feeling sad and overwhelmed about what I could not give instead of joyful over what I helped to provide. Education is the greatest investment. 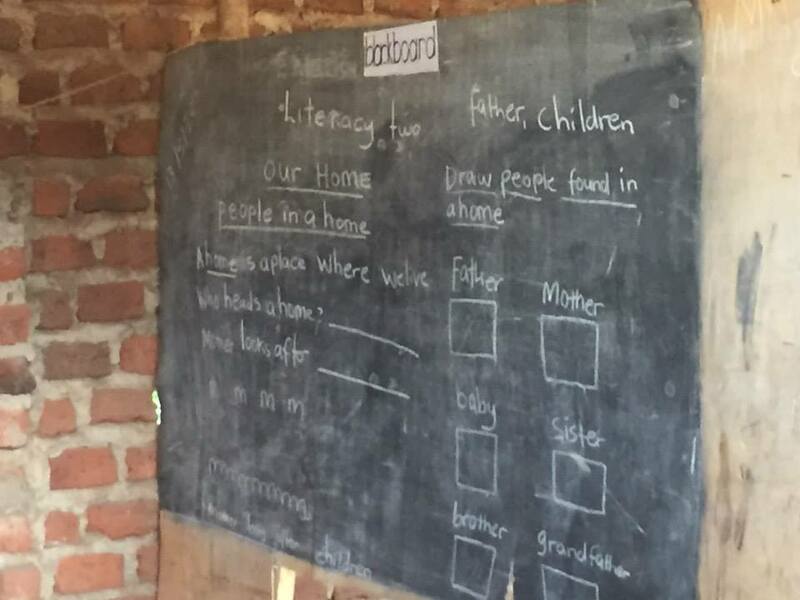 While free, public education is available in some parts of Uganda, many of these classrooms have over 50 students, limited resources, and only one poorly paid (and trained) teacher. In order to ensure their children receive a good, quality education even the poorest of families make the sacrifice to send their children to private schools so they can learn to read and write in English. As a mama who values education, I would rather spend $10 for a book instead of $2 on a plastic toy for my own children, and it was humbling to acknowledge that these African children deserve the same. Despite being across the world from my family, I was able to communicate with them daily. It was such a blessing to see the faces of my beautiful children each evening through Skype and to share my husband’s carpool struggles through Facebook. By African standards, the amount of money I spent on internet was outrageous (about $40 a week), but the ability to connect with family – and stay connected with my new friends in Uganda – is priceless. They don’t know unless we tell them. In America, I am often overwhelmed by information thanks to the constant stream of news, radio, and social media flowing through my brain. However, that is not the case in Uganda and other remote parts of the world. They still need interactions from real people to inform and educate them on the basic things we take for granted. By simply going – or providing support so that others can go – to these remote locations we truly have the power to change the world. Giving and serving within our local communities is very important, but so is giving and serving globally. Without question, we have hungry children in our backyards who need assistance and families who need encouragement. However, love has no boarders and neither should our giving. Sacrificing one Starbucks coffee and donating that $5 to directly to the farmers who produced it can make a huge impact within their community. Instead of buying our children a new video game to combat summer boredom, teach them to draft an email to the children at Orphans Hope Center (http://orphanshopecentre.com), Pauline Juliet (http://www.youcaring.com/nonprofits/pauline-juliet/239565#.VL7snn9aKeU.facebook) , or Starlight Family (http://www.friendsofstarlightfamily.org/about) and donate that $30 to support their new pen-pal’s education. Everyone may not be able to travel to Uganda for 3 weeks like I did, but everyone still has the opportunity to make a huge impact in these communities. 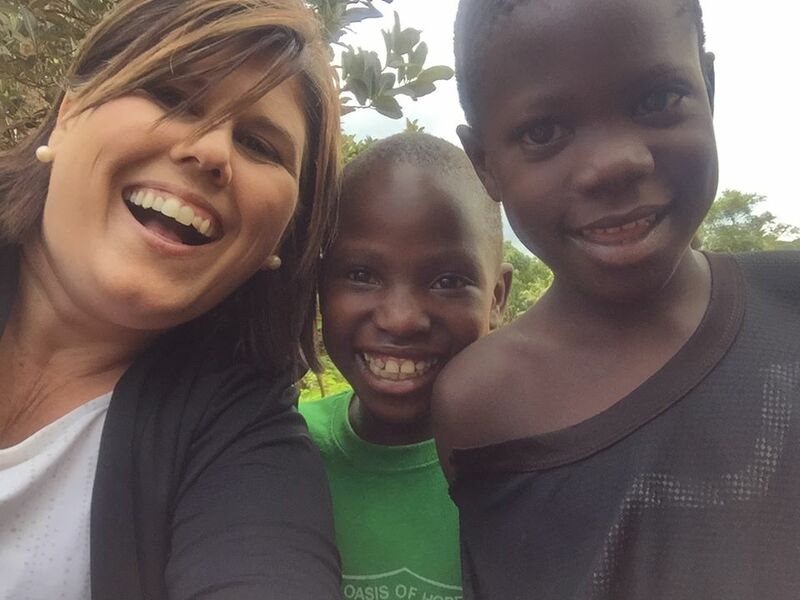 Visiting Africa changed me…it challenged me…it empowered me. I will never forget the things I learned through this experience, and I pray that you won’t either! These smiles forever changed my life. Earlier today, North Carolina Governor Pat McCroy shocked the state when he vetoed a bill that would allow companies to sue workers who record undercover videos, saying he doesn’t want to discourage employees from reporting illegal activities to authorities. Opponents said the bill (commonly refered to as the “ag-gag bill”) targeted whistleblowers in the agriculture industry. As a small slaughterhouse owner, I have followed this bill closely. Even though I open the doors of my facility to guests and my family has a relationship with HSUS (a huge opponent of this bill), I definitely do not want anyone to come into my home or my business under false pretenses and make recordings of activities (good or bad) without my knowledge…I have nothing to hide but I also believe privacy should be respected and valued for everyone. However, the Governor’s decision to veto this bill speaks to a larger issue in NC agriculture, and our industry leaders would be wise to pay attention. 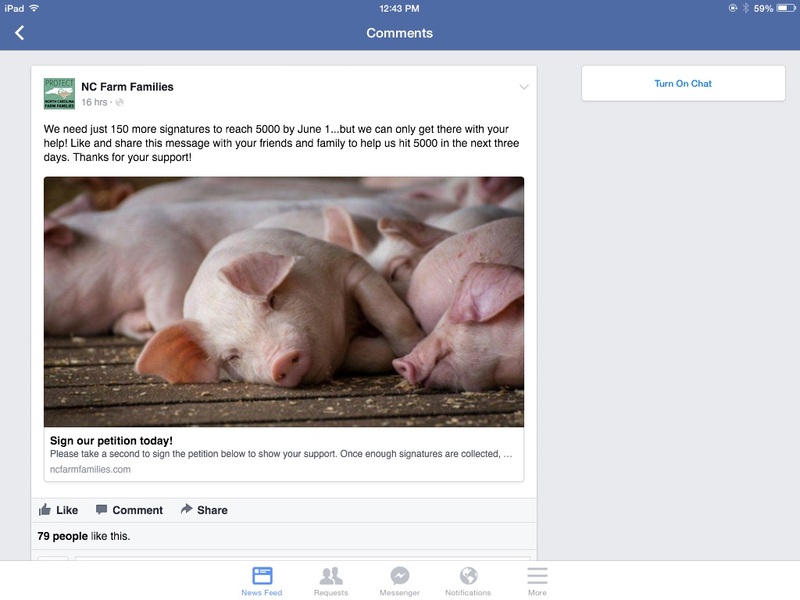 For weeks, I have followed a website / Facebook campaign “NC Farm Families” as they struggle to garner the 5,000 signatures needed to submit a petition to Governor McCroy on behalf of our state’s pork producers. This campaign has the support of industry giants including NC Farm Bureau, Murphy-Brown, Smithfield, the NC Pork Council, Hog Slate, and many more (www.ncfarmfamilies.com). I, too, signed this petition and fully support the pork producers and NC farmers this petition aims to protect. 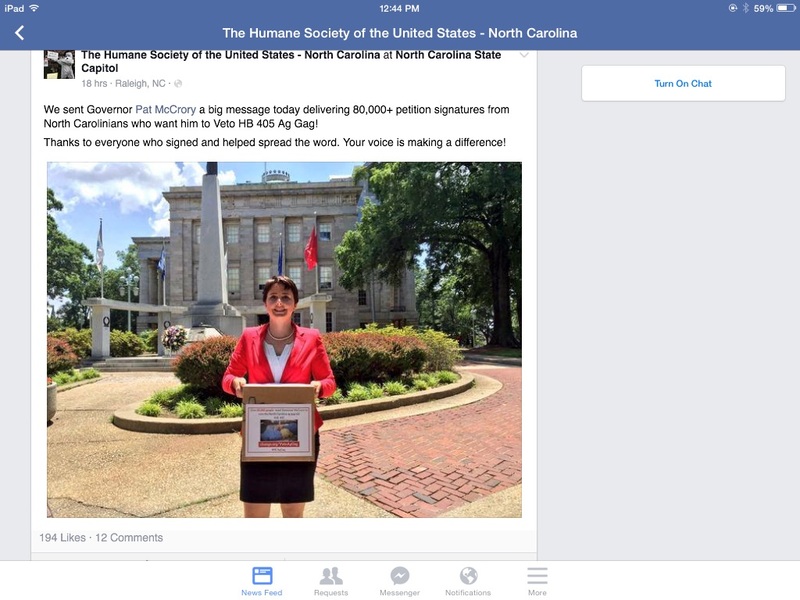 However, given the importance of the pork industry and the number of people directly employed by these companies, one had to question why support has been so slow to come…especially in contrast to the 80,000 signatures that HSUS of North Carolina delivered to the Govvernor this week against the ag-gag bill. I am sure there is a lot more to both of these campaigns than I am aware. However, as a NC livestock producer and agvocate, the initial difference in support for these two causes tells me that our current agriculture methods and marketing are not working. Traditional agriculture is losing ground with consumers…they are clearly sending a message and we would all be wise to pay attention. I have worked on a feedlot in Nebraska and now raise and market grassfed cattle. I have bought organic foods for my family but watched African farmers struggle to survive without GMOs and biotechnology. I have sprayed pesticides on a corn field and used natural fish oils on a pasture. I understand that different farming methods are not right or wrong…they are just different…and I have learned to respect both the farmers who grow them and the consumers who support them. Today North Carolina consumers – and the Governor – sent a clear message to agriculture. While I don’t seem get invited to the fancy meetings at the NC Dept of Agriculture and no one ever asks my opinion at NC Farm Bureau meetings, I pray that our industry leaders can open their eyes to the bigger issues facing agriculture in our state and bring new and unifying voices into these conversations before we lose even more ground in our struggle to produce safe and nutrious foods. While researching the area I will be visiting in Uganda, I came across the website for a local school and orphanage. Upon further investigation, I came to understand that Starlight Family a private school and orphanage in the remote area of Kibogo with very limited funds and resources. 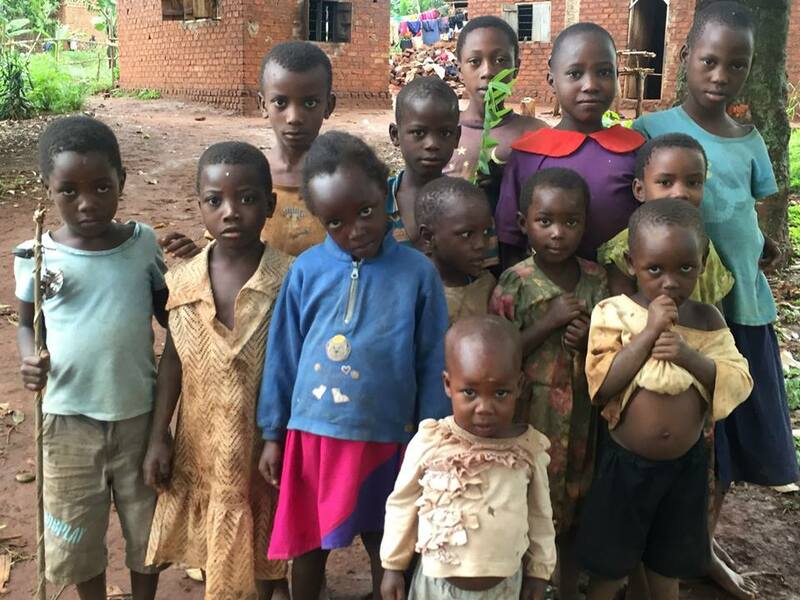 These precious students have no real educational curriculum or supplies; lack basic items for survival such as shoes, clothing and undergarments; and several of the teachers have not received a paycheck this entire school year due to lack of funds. Unlike many schools in Uganda, there is no sponsoring organization for these students…their only provisions come from what they can generate themselves or through the donations of others. Because my hotel is only a few miles from this school, I plan to visit with the students and staff of Starlight during my stay and will be delivering much needed supplies. I would love to shower this school with love and support, and I welcome my friends and family to join me! There are lots of items that can be found at The Dollar Tree that would make a huge difference for these students. Jump ropes, plain and colored pencils, ink pens, jigsaw puzzles, educational board games and workbooks, children’s Bibles, antibiotic creams, toothbrushes, and band aids are all greatly needed. This is where the greatest needs often fall. There is a huge need for children’s mosquito needs to help prevent malaria. The school has found a source in Uganda to order these for $6.50 each and is requesting donations for this purpose. Gently used blankets, children’s bedsheets, and backpacks are also greatly needed, along with shoes that can withstand the rough terrain. Money is needed to fund these teacher’s salaries. $165 will pay one teacher’s salary for one month. The staff has also requested teacher materials and textbooks, along with classroom sets of student curriculum for all grade levels. For anyone feeling especially generous, the director has requested a laptop and a digital camera so that he can post more pictures and share updates on the internet about the school and the students. I will be using my checked luggage to carry as many items as I can squeeze into two suitcases; other items will be purchased when I arrive. However, I can promise that all contributions will be personally delivered and used exclusively to support the children at Starlight Family. Please visit Starlight’s website (http://www.friendsofstarlightfamily.org/home) and like them on Facebook (https://www.facebook.com/StarlightFamilyKibogaUganda?pnref=lhc) to see for yourself the conditions of this school and the needs of these students. While I realize that not everyone can donate, your prayers for the health, safety, and prosperity of these children is equally as valuable. 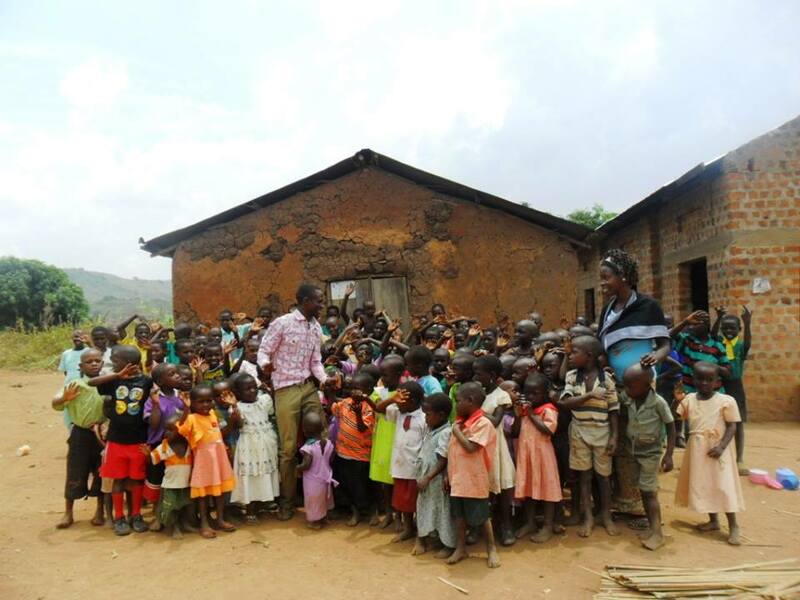 Thank you in advance for partnering with me to show the love of Jesus to these Kibogo children! In case you were wondering…I’m no Mother Teresa. I don’t adhere to vows of chastity or poverty, and I certainly don’t think I’ll be nominated for a Nobel Peace Prize anytime soon. I haven’t built an orphanage or a home for people with AIDS, and there are no documented miracles associated with my name. However, I do share her commitment to wholeheartedly serve others, and, like Mother Teresa, I have faced criticism for my beliefs. Until recently, I never thought about that how this criticism and mistrust must felt to Mother Teresa…there must have been times she questioned herself and wanted to just walk away. Why show love to others when they talk behind your back? Why defend them when they are secretly plotting your demise? Why share your knowledge so they can use it to betray you? Why open up your heart just so they can crush it? I’ve had to ask myself these questions a lot over the past week as my motivates have been questioned by people I have tried to love and to serve. I won’t lie…it hurt my feelings and I’ve cried more than a few tears over the assumptions these people have made. While my actions were certainly not blameless, my heart was truly pure. I wanted to love and to share and to encourage and assist…like Mother Teresa, my only ulterior motive was to show them Jesus. While I would love to share a cup of tea with Mother Teresa and seek refuge from my hurt feelings, that simply isn’t possible…or beneficial. However, Mother Teresa did leave a message that I and the countless other misunderstood do-gooders of the world can take to heart. She wrote this on the walls of her Indian orphanage, and now I choose to engrave these words on my broken heart. Recently, The Vermont Packinghouse made headlines as news of their public viewing window circulated the internet. Consumers were amazed that a slaughterhouse would open their doors – and their walls – to allow the public to see inside the secret world of meat processing. Unfortunately, my facility was not designed with this level of transparency; however, that doesn’t mean we are any less open about the inner-workings of our business. Since I first opened Micro Summit in 2013, over 500 men, women, and students have toured the facility. These individuals have witnessed every area of my operation…from the knock-box to the loading dock, we take them through every step of the slaughter and processing industry. Town representatives, state agricultural leaders, and national legislators have all walked the halls of Micro Summit and heard my unique ag story. 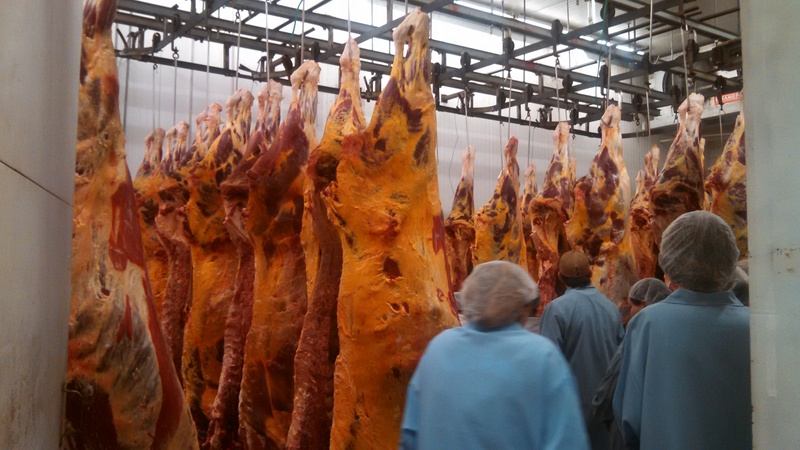 However, in an attempt to build common ground, members of the Humane Society of the United Sates (HSUS) and local animal welfare advocates have also toured MSP and participated in respectful conversation about what improvements are needed in the meat industry. While I definitely assume personal risk when allowing these people to tour my building, I believe the societal risk is far-greater when we attempt to build a secretive food system. Consumers want to know where their food comes from, and, as a food producer, I feel it is my responsibility to tell them. Today, I was blessed to spend my afternoon with an animal science class from a near-by community college. While it’s always a pleasure to talk with these future industry leaders, one of these students sent me a follow-up email that totally made my day. I am so thankful for the young lady who sent this email. She may have learned about the slaughter industry today, but I learned that you don’t need glass walls in order to be transparent…or to make a difference!